Intrapay’s Head of Product, Jay Payne, identifies the key trends and technological improvements affecting the gambling and gaming world. In recent years, the gambling industry has evolved considerably. In addition to moving into the digital space, gambling has converged with the online video gaming sector and incorporated elements of “gamification” – introducing new gaming elements into betting and other traditionally “non-game” forms of gambling. The SiGMA event in Malta this week brings together elements of the global gambling and gaming sectors into one room to highlight the successes of both the online gambling and gaming markets. Together they are expected to generate worldwide revenues of USD$74 billion by 2023, showing off a 10 percent increase over the next half a decade. 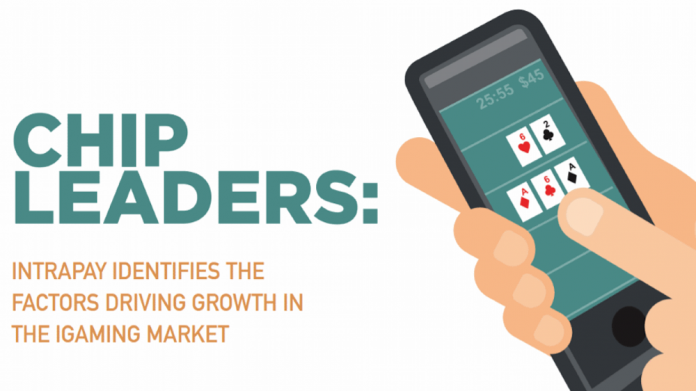 There are multiple reasons for this continued growth, much of which can be attributed to a drive in innovation and collaboration between iGaming companies, payment providers and technology platforms. But what are the ingredients that have contributed to the gambling and gaming sector’s success? The rise of virtual reality (VR) and artificial intelligence (AI) in recent years has the potential to shake up the gambling and gaming space. A new generation of affordable VR technology, like Oculus Rift and the HTC Vive headset, as well as the growing capacity of intelligent computer systems, will enable iGaming operators to transform the way they interact with customers. In particular, companies will have greater abilities to create exciting immersive experiences that help them stand out from competitors. This year, we have seen this technology really come into its own, with a growing number of companies looking to harness the opportunities presented by VR. PokerStars recently announced the release of PokerStars VR, the company’s foray into the virtual world. This is designed to recreate the live poker table experience without leaving home – users can peek at their hold cards or handle and stack their chips, making the game feel as close to the real thing as possible. Such experiences are just the beginning. I expect implementation of these technologies to accelerate over the next year and even become more creative in their applications, as more and more companies seek to meet rising consumer demand for new experiences. Another key driver behind the incredible performance of the iGaming sector this year has been the growing popularity of strategic partnerships between companies. These include agreements to harness each other’s product expertise, and even to work together to enter new international markets – all with the aim of expanding their potential customer base. Slots creator, NetEnt, for instance, signed an agreement with Paddy Power earlier this year to license their content for use in UK land-based gaming machines. This deal gives NetEnt the chance to raise their profile in a new market, while Paddy Power is able to benefit from its new partner’s expertise in slots machines. In addition, William Hill recently announced its plans to expand into the US online gambling market via a partnership with local gambling company, Eldorado Casinos. Under the deal, William Hill becomes Eldorado’s exclusive sports betting and online gambling partner, giving the British bookmaker access to the American resort operator’s 23 million customers. Eldorado currently operates 21 casinos across 11 US states and is set to expand that to 26 sites in 13 states by the end of 2018. Such partnerships will benefit consumers over the next year, by providing them with an even greater choice of gaming and gambling experiences. Companies, meanwhile, will find their customer base starting to take on an even greater international dimension, as their collaborations expose them to new, global gamers. The pressure is on companies to do more to promote responsible gambling and gaming. One example of such is the financial penalties dished out by the UK Gambling Commission over the last few years to a number of gaming companies for failure to deal with problem gambling and related issues. Many of these fines have been widely reported across international media, due to growing public pressure on gaming companies to do more to protect their customers. Other national regulators, such as the Australian authorities, have also taken notice and are being urged to follow suit. In another industry-leading move, William Hill set out its new corporate objective earlier this year, called ‘Nobody Harmed by Gambling’, which seeks to ‘eradicate problem gambling within the UK’ both online and offline. This initiative is the most prominent problem gambling prevention strategy undertaken by a bookmaker to date. Immediate measures being taken include the ‘piloting of mandatory tools’ for at-risk customers online, whereby William Hill will set wagering and time restrictions on for players aged 18-21. The company will also place ‘wagering data at the hands of its digital customers’, in order to improve ‘conscious choices’ between its betting services and its consumer engagements. Given the growing media and political attention focused on protecting online users, we can expect more companies to take pre-emptive actions and to step up their protective measures in the new year. As with other online sectors, the user experience is always a key concern for iGaming operators and can prove a major differentiator in a competitive market. The payments process is a vital part of this and it’s great to see so many companies in the sector putting payments at the top of their agenda this year. iGaming companies need to be able to verify new customers’ identities and payment details both to minimise the risk of fraud and to ensure they are doing all they can to ensure responsible use. This means some friction in the account opening process is necessary. However, if users have to jump through too many hoops every time they log in to a site or access their winnings, they will soon abandon it in favour of a rival. With this in mind, it is no surprise that more and more companies are taking steps to create a smoother, more seamless user experience. Sky Betting and Gaming, for instance, has partnered with Barclays to offer customers a service that will immediately pay out money to their debit cards when withdrawing winnings. This ‘Fast Withdrawals’ payment system, is major step forward in the betting sector, where gamblers currently have to wait up to five days to pocket their winnings. Ladbrokes, meanwhile, has partnered with Playtech to integrate the tech company’s IMS player management system with its self-service betting terminals. This means that Ladbrokes customers will be able to use one wallet and account across all of Ladbrokes’ retail, online and mobile verticals, helping them switch easily from channel to channel, according to their particular needs. We can expect more such developments over the next 12 months, as iGaming companies look to make their sites ever more attractive to consumers and ease their payments and pay-outs process. The iGaming sector has gone from strength to strength this year, both online and offline, and payments has played a key part. Strong foundations have been set for a really positive boost forward, provided iGaming companies are able to harness the changes in technology to offer better user experiences, not just in terms of exciting new games, but through simplified log-in and payment processes too. iGaming companies that want to stay at the forefront of this trend will be required to work closely with the experts throughout their value chain, including VR and AI specialists, or even payments pioneers. In doing so, companies can be confident they are sourcing the best possible solutions for their business and for their customers’ demands well into the future as technologies offer new possibilities for fun.